The delightful Rory has kindly nominated me for the Blog of the Year award and being the needy person I am it is an honour to accept this! As you can see I have one star filled out of 6. If you think I should have more stars please say so below. Obviously I think I should have 7 because I am super special and wonderfully delusional. I haven’t done this for a while now but I am pleased to announce the Moose Seal of Approval Award has been dusted off and is ready for a new ceremony. 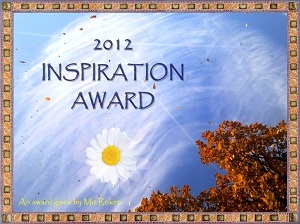 I just love the awards on wordpress, especially giving them out to people whose blog inspires me. They are after all a bit of fun but good for recognising a job well done! I have 1 nominee today, I have only recently connected with this person as their blog is brand new but really enjoy reading it! A fellow sufferer of depression who writes from the heart and I really relate to his words. The award goes to Maddsuspicions who I hope will accept it with pride! You’re doing a great job Madd and this is my way of showing you some recognition. Keep up the good work! I feel very proud of myself this afternoon as I have been kindly nominated as one of the first recipients of a brand new award created by Kevin at voiceofglass. This is a wonderful award and I am delighted that Kevin has seen fit to award this to me! Thank the blogger who awarded them with the award. Link back to that bloggers blog post in which the award was given. State what receiving the award means to them. Say why they starting and/or continue blogging. Make a statement as to why they feel men blogging is important. In following the requests from Kevin here are my responses. Receiving this award makes me very proud because it has come from such an esteemed blogger who has recognised something in my blog that he feels inspires other people. Recognition from your peers is always an honour because there are so many people out there writing blogs so being chosen gives me that nice warm happy feeling inside! I started blogging because I was in a bad state of mind mentally and wanted to document my daily thoughts and feelings as a way of therapy to help me get to the root of my depression. Originally I did not expect anyone to read it and then suddenly I was getting messages from people who said they were surprised about how honest and open I was about my issues and that they recognised a lot of me in them! Especially men which gave me the inspiration to carry on blogging with the aim of helping others, men in particular, and of course myself. It is nice to know that other men are going through the same battles that you are and without other male bloggers I would still be sitting in a dark room and a dark place. Blogging from a male perspective shows other men that it is ok to talk about depression and that it is not a sign of weakness to have it. We need more male bloggers talking about mental health issues to show the world that we will not be held back by the stigmas that surround mental illnesses and the more we talk about these things, the better understanding from our peers and society in general, we can generate. Thank you Kevin for creating this award and for choosing me as a recipient! I love getting these! Not only does it show mutual respect towards me, it is also a great way for new people to find my little blog and enjoy my journey! Even better is when you wake up and find someone has given you the award which is what happened today. Kevin at Voicesofglass has given me this award and made my day! Thank you Kevin! On a first date I was so nervous I did not see the steps in the pub garden and proceeded to fall down them and spill the drinks I was carrying all over myself! Luckily she didn’t notice this but was concerned at the 20 minutes I spent in the toilets trying to dry myself with the hand dryer. On a tour of Wembley stadium (the old one) I took a tile out of the England dressing room. I was heading for a walk along the Strand in Central London when a bus was blown up by the IRA. I was 5 minutes away from it and it was one the scariest days of my life. If I could change one thing about my life I would go back in time and kick that first cigarette out of my mouth and beat the 10 year old me all over the park where it started! I always thought I should have been in a boy band despite not being able to sing, or dance and not having the looks! I did however once find the perfect band for me but didn’t get in. I hope Kevin does not mind me not giving this award to others as I have my own special award and gave it out to my latest winners yesterday. I am in a good frame of mind today, seems my 3 day rut is over thankfully so, that being said I wanted to nominate some more people for the Moose Seal of Approval Award. If a film was made about your life what would the title be? What genre would the film be? Who would direct the film? Who would play the love interest in the film? Which song would feature most heavily in the film? If you could have played a part from any film what would that be? The recipients are blogger who write from the heart, sharing their stories with honesty, sincerity and inspire me and a whole lot of their readers. 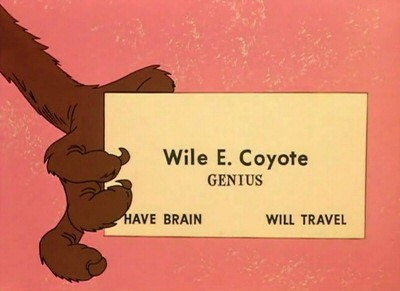 Each blog needs to be visited and tell them the moose sent you! First Award is given to Roxy for her blog AdverseUniverse. A lovely person who is quick to comment on my blog with words of support, advice and the odd virtual hug! And we all know how much I like my hugs! The second person is Bourbon over at crazyinthecoconut. It takes a lot of courage to write so openly about such difficult issues and I admire her so much for this. Besides that her blog photo always makes me laugh! If you get the chance please give them a visit! When you are sitting at the feeder waiting for new posts from people you know they are doing a good thing. Congratulations Roxy and Bourbon keep doing what you do best!! There is more to this “poem” than meets the eye. I think it is very clever but I may be slightly (VERY VERY VERY!) biased. Amazing the difference a nice power nap can make in your mood! Anyhoo I hope you like the subtle hints (links). 48 posts its been a blast! Expressing my thoughts sure has been exciting. For the good of the chicks. With the help of my wife! The moose even spoke to the press. Even when wanting to hide. I hope this blog never ends! When an elephant gave me some pie. At this moose’s virtual book! A lot more about the moose. As I am accepting awards. As this poem now stinks! Easy, Contribute towards my next tattoo! You all know by now how much getting these awards means to me. Coming from your peers makes them the more special because it shows your on the right track, that your writing is getting across in the way you hoped it would when you started. Now after only one month of blogging I have been kindly given my 3rd award. I have been nominated by Justathought who has a blog that is well worth a view! Again the process involves revealing 7 facts about myself and as we know I like to make them a little bit more interesting than you would expect. I once had a road rage incident on my way to work which involved me chasing after a car who cut me up, calling the driver every name under the sun. Imagine my shock when the car turned into my works car park and it was the MD! I once won a competition in the Daily Mirror. The prize was a football. When it arrived it was punctured! I have never bought the paper since! I was on live radio once (Kiss 100 FM) and was cycling at the same time. I proceeded to pretend to the presenters that I had just been knocked off my bike by a car and ended the call in dramatic fashion. They then called me back panicking before I told them I was joking and they were crying with laughter over it and sent me a CD as a result. I once wrote to Jim’ll Fix It asking to dance with the band Five Star – he did not reply! So there you have it another 7 facts about me I hope your learning more about me! I would like to nominate CrazyIntheCoconut for this award even though it’s already showing on her page. Just looking at her image on the blog makes me laugh and her writing is very good and I learn a lot from her posts. 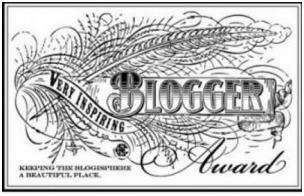 I am honored and humbled again to have been given this award by a fellow blogger! This one was given to me by the wonderful nothinginmynoggin who has a very good blog of her own about her struggles with mental health illnesses and it really is a candid and inspirational read. She also called me “awesome” which always gets brownie points! One thing I love about these awards is the questions that follow after as they are, for me at least, a great way of finding out interesting snippets of information that would not be found out in normal circumstances. 1. If you were a Disney character, who would you be? I would say Woody from Toy Story as I am a leader of others, with a strong sense of loyalty to my friends. Like Woody I also have my insecurities about being replaced and forgotten. 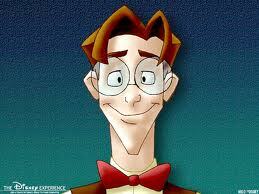 From an entirely visual perspective I can’t help but notice the likeness between the real me and Milo Thatch from Atlantis have a look and see if you agree, It makes me laugh at least! 2. What was your 1st job? My first paid job was working for waitrose supermarket in one of their stores. I was 15 doing my GCSE’s between shifts and it was one of the best jobs I have had. It was basically a social club with so many students working there. 3. If you had to live in a so called “3rd world country,” which would it be? I currently live in a “3rd World Country” The way the UK is falling apart we will soon be described as one! To be honest I couldn’t see myself living in a 3rd world country but I would like to visit the places in Africa where events like Comic Relief have worked to see how it has benefited from aid given by so many people or whether it has gone to waste. 4. Coen or Farrelly Brothers? Farrelly Brothers every time! Well apart from Miller’s crossing which I love but for me slap stick, gross, close to bone humour is the best kind! I could watch “silly” films by the Farrelly’s all day long! There’s Something about Mary and Dumb and Dumber in particular! 6. Favorite non-existent punishment (well, non-existent in “1st world countries”) for monsters who harm the defenseless? I would put these monsters in a sound proof room with the relatives of their victims for 1 hour and lock the door. It would certainly save a lot of tax payers money keeping these “people” in prison. 7. What’s your favorite thing to do that is not strictly legal? 8. What’s an image that depicts how you feel right now? This fits in nicely I think, questions about how I feel, where I am going, where I want to be with just a hint of a ray of sunshine on the horizon offering some hope. 9. What’s your favorite ridiculous video? Hope you enjoyed this! 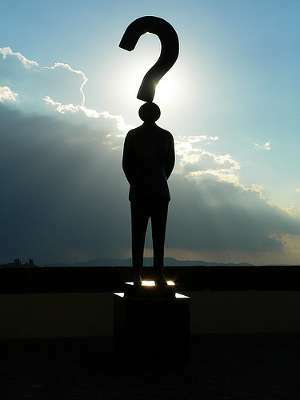 What question or questions would you ask me to find out something unusual? you can comment and ask me or use the Contact page and contact me via Facebook or email. 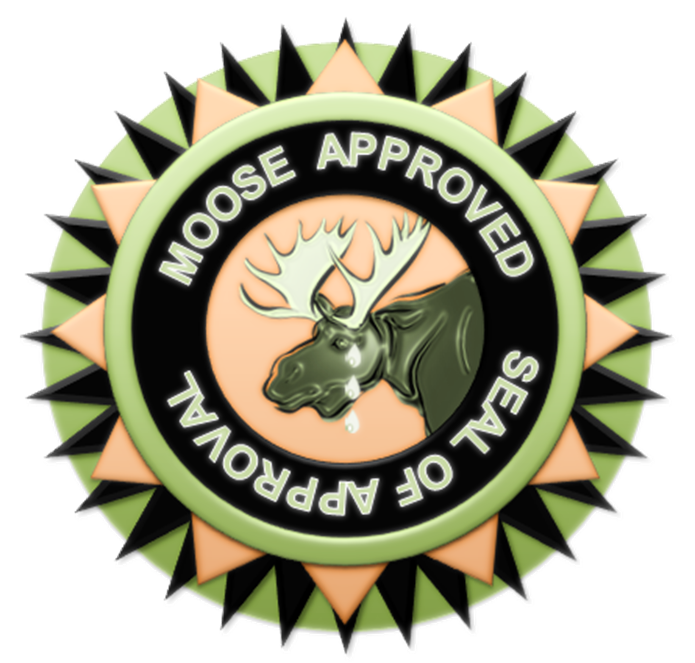 The giving and receiving of awards is a great part of the wordpress community with that in mind I have created the “Moose Seal of Approval” award for blogs that inspire me, make me laugh, make me cry and generally make me want to read them! My first recipients of the award are 2 bloggers who have helped me grow as a blogger especially as a newbie but just reading their blogs have taught me so much! Ladies and Gentlemen I give you………….. Both of the ladies are mental and loving it with fantastic blogs to the extent that I sit around waiting for their next post! Posts that interest me, put a smile on my face and sometimes even make me think! They are also lovely people who take the time to help me be it just replying to a comment or a message I have sent! I hope you take the time to visit their pages one day I hope to be in the same league as them! Congratulations on your well deserved awards I for one cannot wait to read your answers to the questions…..
Before I forget a massive THANK YOU for Sharon who did the image for the award based on my suggestions she came up with exactly what it looked like in my head, and also created the image on my background! I really appreciate you doing this for me!